LondonPropertyGuru enter this stunning three bedroom luxury apartment on to the sales market. Located on the banks of the River Thames, this exclusive new development boasts some fantastic views including The Thames, Westminster, The Shard and more. Comprising of a large open plan living and dining area, with separate kitchen and storage areas. With three large double bedrooms, en-suites and generous bathroom, this apartment is filled with luxury. 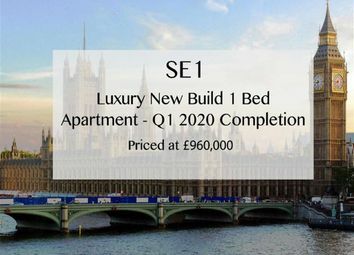 Set to be completed between Q1 & Q2 2020, this has already become one of the most sought after developments in London. Not least because of its fantastic location, but also due to its residents only amenities. Including but not limited to Residents lounge, Dining Room and Roof Terrace, as well as Swimming pool, Spa and Gym. 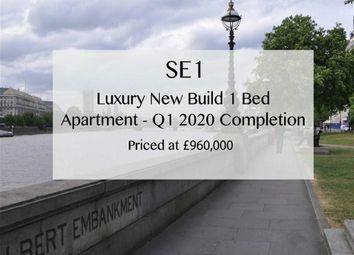 With great rental potential or if you just want to be in one of the best located apartments in London, this is a fantastic opportunity to acquire a spot in the sought after development. Lacquered kitchen unit doors to base and tall units.